Workshops are nurturing spaces for communal connection, exploration and expression. Gatherings intertwine yoga and meditation practices with forms of creative expression. These spaces allow for deeper presence and discovery of self and others which can unfold to more clarity, acceptance, understanding and compassion. Join in an afternoon of creativity and connection celebrating the history and symbolism of headwraps, mindfulness, and connection. The covering of one's head from the head wraps and hijabs to the sheitels and church hats are richly symbolic of ritual, culture, history and religious traditions. Yet, transcending the diverse names and symbols, the head wrap becomes a beautiful outward expression of presence, awareness and strength rooted in the soul. Also, joining the gathering will be Hafidha F. Saadiqah where she will share her personal journey and perspective on head wraps. Come as you are only having to bring yourself. 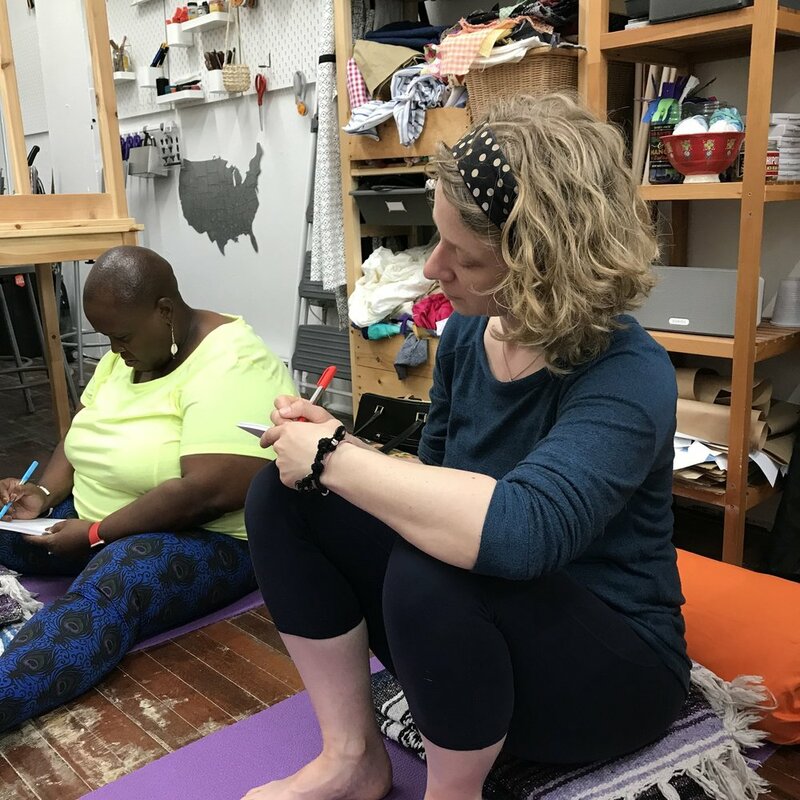 Everything you need will be provided at the event including yoga mat and accessories; journal; pen, fabric; sewing instruction, materials and machine; as well as, food and beverages. This gathering is limited to eight, to allow for a collective creation of an intimate space of connection. Full of emotions…sometimes seemingly sane and other times not..
Full of knowledge and wisdom…formal and informal..
Full of thoughts and memories…good and not so good..